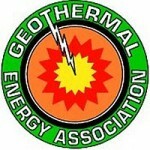 As the geothermal industry is poised for record setting expansion, leaders will gather in Washington DC on Wednesday, May 4 for the Geothermal Energy Association (GEA) 2011 Geothermal Energy Technology and International Development Forum which will be held at The Ronald Reagan Building and International Trade Center. The Forum was developed in conjunction with the U.S. Department of Energy and the U.S. Department of Commerce. Over two-hundred industry leaders, foreign diplomats, financiers and government officials are expected to participate. “Having the Departments of Commerce and Energy, as well as leaders from such a broad spectrum of geothermal supporters, as a part of this event will provide a great insight into where the geothermal industry currently stands and where it will be going over the next few years,” Gawell said. The program showcases geothermal projects, trends, and governmental policies in the U.S. and around the world. Topics covered will include the geothermal market today, projects under development in the U.S. and internationally, outlook for the future of the geothermal market, jobs and money, new technologies, and federal agency support at home and abroad. The Forum will also feature an expo area.